Bought in 2000. Still going strong. Bomb proof durability. One of the best packs I've ever even heard of. Old school Gregory. This thing is amazing. Has held up for working on 20 years now. What more can you ask? And I've had as much as 75+ lbs in it. Yes, the ride gets a little... eh, when she's loaded that heavy. But she was never designed for that, and still takes it like a champ. My go-to for the tough and long ones. Welcome to Trailspace, Chris. Can you post a picture of your long-lived pack? Welcome to Trailspace, Chris! I always love to hear about packs that have worked hard for so long. I'd also love to see a few pictures. Used it for ten years and easily the most comfortable pack I have ever known in over 50 years of packing. I have never put a load in it which it could not carry comfortably. Excellent fit. I suffer from lower back pain, but never any problems while carrying my Forester. Wish I had owned one 50 years ago. Only one improvement would be adding a few pockets to the outside--perhaps as a removable pocket. I have a very short torso, but fit is perfect. No problems carrying for ten hours even though I have lower back problems. I like the simplicity and the fact that it limits carrying unnecessary stuff. Only one wish is detachable pockets for those times you need them—but not often. Welcome to Trailspace, Walt. Thanks for sharing your Gregory review with us. How much weight does it carry comfortably? Also, got any pictures of it you'd be willing to share in your review? This pack is one of the best I have used yet. It has gotten me through two treks of Philmont, each trip stretching longer than 10 days. It's also taken over 500 miles of trail use and still absolutely no problems. It's been super comfortable and has carried over 60lbs easily. 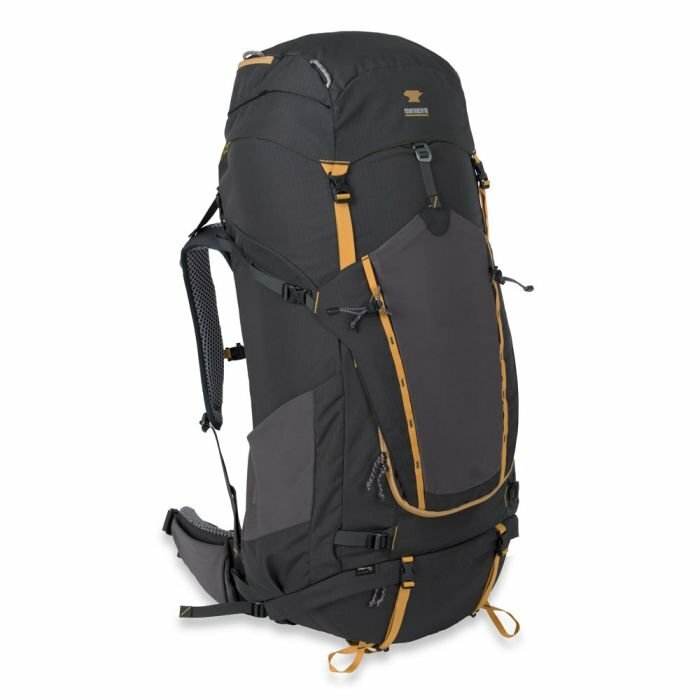 All the other reviews and comments say 40-50lbs, however I haven't reached a weight that was to much or uncomfortable for the pack without me struggling first. Great over-night pack for, as far as I have found, anything from two-week-carry-everything-you-need to a simple two day hike. Have used my Forester for overnighter and up to 7-day excursions in Oregon, Ca, Utah. Carries up to about 50 Lbs with comfort. Compress very nice for short overnighters. I am impressed with this pack. In Columbia Gorge the pack kept my gear dry in constant rain. An awesome pack that has never failed yet. NASA could use these and be more successful. I have loaded it up very heavily and gone on trips from 2-8 days. Design: Rucksack. Top-loading. Front loading. Size: Med. 4lbs. 14 oz. Height of Owner: 5' 10"
Gregory has a much deserved world recognized name for their backpacks and the Forester is one example of why. Having spent over thirty years outside enjoying nature this backpack has worked well. 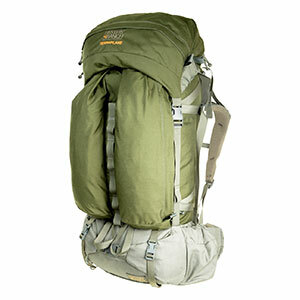 The pack is rated for 40 pounds but has carried loads up to 70 pounds. My recommendation is to keep the weight less then 55 pounds. The heavier the weight over the rated weight the more strain on the back. This pack fits and works well. Max. Load Carried: 60 lbs. I've owned this pack for almost three years, and I have got to say it is quite a gem. Excellent back support, and fantastic suspension and distribution. I have taken it on countless one nighters, and one 70-mile trek through the Sierras. Highly recommended. My only complaint is that it doesn't have any small pockets to organize your gear. 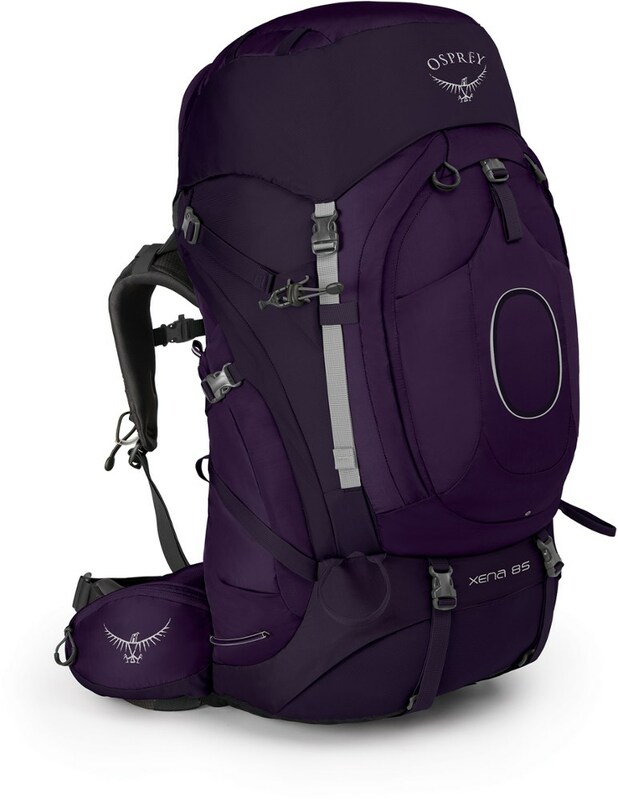 Height of Owner: 5 ' 6 "
Took my daughter on her first backpacking trip in N.C. with this pack. It is so comfortable, especially on my lower back and it rides great with lots of adjustments. This is my first internal frame and I can't be more pleased. 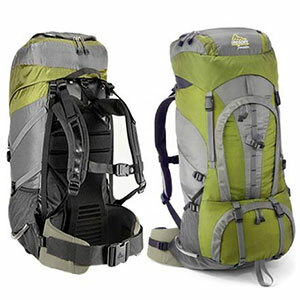 Excellent pack for 2- to 7-day trips. Its capacity is large enough to handle large loads and it will also compress nicely to handle smaller trips. The shoulder straps and hip belt are very comfy, and it hugs your bag like a champ. Overall, has a very comfortable fit. Only drawback is there are so smaller pockets to help keep smaller items organized. I've had this pack for two years with frequent use and no problems. 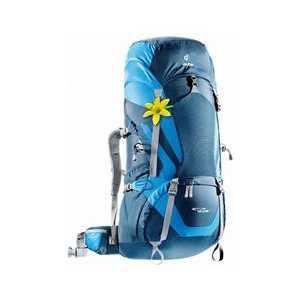 For a 4700 cu in pack, it's very light @ 4 lb 14 oz. The fit and comfort is great -- better than some of the more "expedition-oriented" packs I've tried. I've used it on overnighters and on 6-day February trips on the AT with plenty of room for gear, clothes and food. The side mesh pocket can hold a water bladder to keep it outside, away from sleeping bag and clothes. Love it! Max. Load Carried: 50 lbs. I read a whole lot of pack reviews, but in the back of my mind knew that it would come down to a Gregory. 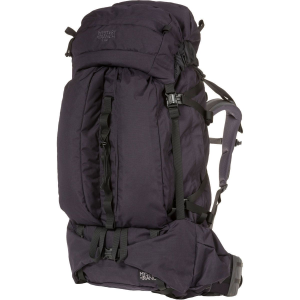 I wanted a pack that would be great for short weekend trips, but also for my occational week to 10-day trips. I finally decided on the Forester....and LOVE IT. I took it on a Philmont expedition which was 12 days of backpacking as well as several weekend trips so far, and it works for all of them. The way the gear accessibility was designed is so great and suspension is amazing. I am going to add some removeable pockets to the side, just to add space for small gear. This pack has served me extremely well and I can't wait until my next trip! Love it, love it, love it! I am a picky SOB and had a *very* trying time finding a pack that I liked. I am the type of guy who likes to go lite, around 30 pounds total including the pack. But, I still have to be prepared to carry 45 pounds if my kids or wife or friend give out on the trail. First I tried the Nimbus Ozone, then I tried Kelty's External Super Tioga, 03' models. Both of them tried to pull the load right off my back. Then I tried the Gregory Forester 03', ooooohhhhhh, aaaaaahhhhhhh, what a great pack. It reminds me of the drivers seat in my old '86 BMW 325. The feeling is firm, definately firm, and you think to yourself, " Um, I'm not too sure this is going to be comfortable." But then, BAM! The big surprise! The longer you drive, the better you feel. The Gregory crowd really know what they are doing. I asked my buddy to bring over his Jansport Cascade 70 to do a side by side comparison because I had carried his pack and I knew it to be a comfortable pack. Doing a side by side comparison though, the Gregory won hands down. The Gregory has a lower back support that provides "out of this world" comfort. I think this is the best backpack in the store right now. I cut off the extension sleeve and the ice axe loop and that was about all it took and I'm at peace with the way everything works for me now, cause I used it a couple days now. But the most important thing is the way it rides. it rides better than any others I had too. After using a Reality for the past two years, I felt I needed something with a sleeping bag compartment. I field tested a Palisade which was great however I liked how the escape series felt, so when I found out the Forester was about to hit the market I opted to wait...Damn good choice! This is the last pack I (hope) will ever use. The combination top/panel load with the sleeping bag compartment makes it real convenient (not to mention the see-through top pocket window). I've used this pack on a 3 day trip at Pictured Rocks, Mi., and have also used it on a week long trip on the AT through the Smokies, both trips proved my search for the ultimate backpack was over. 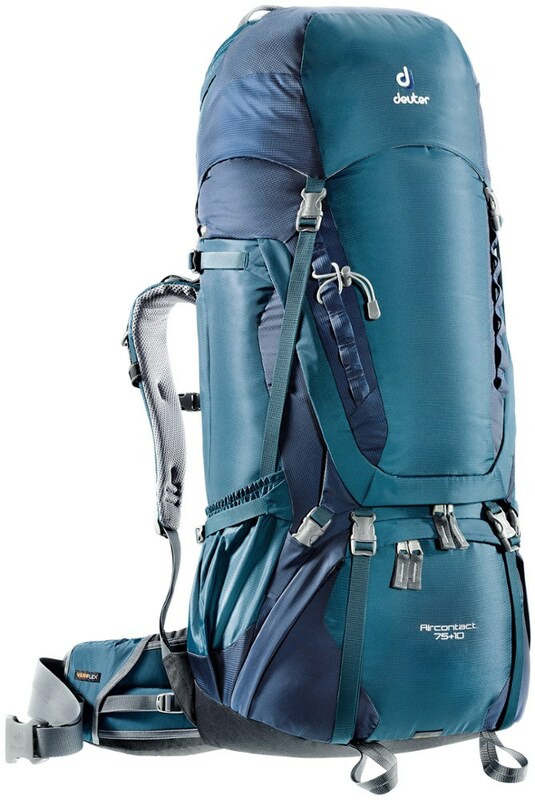 I highly recommend this pack for anyone in the market for a midsize, exstremely comfortable pack. Just picked up the new Forester pack and it is a dream come true. Earlier, I got rid of a way too big Jansport Alaska, then tried a not so good quality Kelty. After researching a lot of different packs, I opted to go with Gregory for their combination of great reviews and outstanding reputation. I was close to buying a Reality, but then heard of its bigger sibling the Forester hitting the market. I decided to go with the Forester for its slightly larger capacity. All in all, it's very much like the Reality...same suspension, overall design, etc. The Forester adds a much welcome sleeping bag access compartment/zipper. The side compression straps don't get in the way of the mesh pockets as much as on the Reality. There is a neat see through window in the top lid so you can see the contents, and you can top load or panel load with this hybrid. I heard a comment somewhere that you don't carry a Gregory pack, you wear it. How true. The fit and comfort is absolutely incredible...even fully loaded! I would not hesitate to recommend this pack to anyone looking for a great long-weekend to week-long pack. The Forester has been discontinued. The Gregory Forester is not available from the stores we monitor. It was last seen March 15, 2008	at Moosejaw.